When Papandreaou was preparing to give the Greek people a referendum on the bail out deal, he was kicked out. Here, the birth place of democracy, the people were going to answer whether they would accept the IMF deal. The European Union leaders were in uproar. How dare the leader of Greece ask the people their opinion on what will happen to them? So, Papandreou has left and in his place we have econocrats in charge. Democracy was denied the Greek people. Read this excellent article by John Pilger which gives an alternative to what we’ve been fed by corporate media. 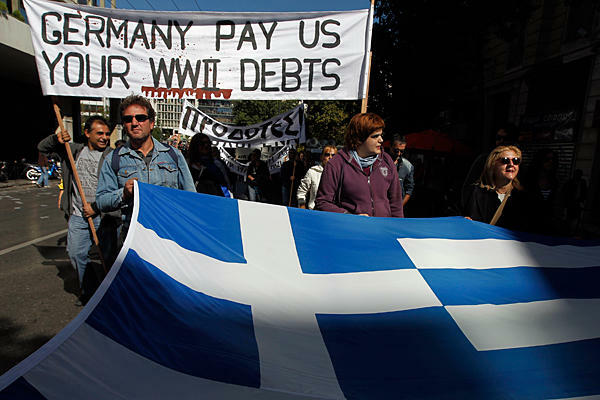 In his latest column for the New Statesman, John Pilger inverts the perception of Greece as a “junk country” and sees hope in the uprising of ordinary Greeks protesting against the “bailout” of an economy plunged into debt by the tax-evading rich. Greece, he writes, is a microcosm for the developed world, where class war are the words seldom used because they are the truth. You are currently browsing the Journeys and Star Gazing blog archives for December, 2011.